The Gibraltar Stock Exchange has unveiled two developments it says are aimed at broadening its offering for companies looking to list their shares, ahead of the UK’s withdrawal from the European Union. One of the developments involves the introduction of a self-regulated “multi-lateral trading facility”, or MTF, called the GSX Global Market, for debt securities and funds, that will be operated under the stock exchange’s Markets in Financial Instruments Directive (MiFID) license. The other gives companies interested in a GSX listing the option of undergoing “approved provider third party due diligence”, which the stock exchange said in a statement represented a “ground-breaking approach” that would accommodate small- and medium-size enterprise investing. It said it had established an arrangement with two established research firms, ACF Equity Research and Hardman & Co, to provide such due diligence services on behalf of the listing businesses that use the exchange. “GSX believes this process will build confidence [among] investors, and help the issuer in its capital raising,” the stock exchange added, in a statement announcing the new third party due diligence scheme. “In particular, GSX Listing Members, either internally or via outsourcing, should satisfy themselves that the commercial opportunity discussed in the issuer’s prospectus or listing particulars, in relation to new issues, has been fully assessed, as to its future prospects or viability”. 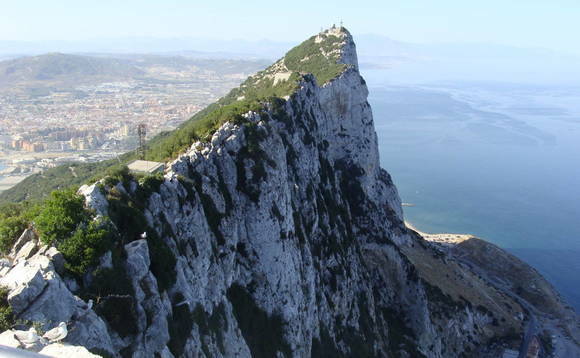 Gibraltar Stock Exchange managing director Nick Cowan noted that the market value of GSX-listed companies were based on such variables as “reputation, regulation, and speed to market”. And although it is already standard practice for the exchange’s Listing Members to carry out financial, legal, and controller due diligence when applying to list, “nevertheless, we wanted to provide additional clarity on the commercial aspects”, he added. The Gibraltar Stock Exchange first opened its doors to investors in 2014. It is licensed by the Gibraltar Financial Services Commission, and operates two stock market listings: the Main Market – an EU-regulated market recognised by ESMA and the UK’s tax authority – and the Global Market, a self-regulated market which is a Multilateral Trading Facility (MTF), as defined under the MiFID directive. In September, as reported, the exchange was awarded “recognised stock exchange” status by the UK’s tax authority, HM Revenue & Customs, meaning that is listed securities would become eligible for inclusion in UK Self Invested Personal Pensions (SIPPs) and Individual Savings Accounts (ISAs), both of which can give investors certain tax benefits on assets held inside them. The GSX gained similar recognition from the European Securities Markets Authority in January 2015, and the Cayman Islands Monetary Authority in March 2015.